A digital music player with state-of-the-art features. Recently launched by Sony, the new DMP-Z1 Digital Music Player takes audio performance to another level. The player comes with a range of high-end specs that optimize quality. It can handle almost any high-resolution audio format and reproduces digital audio at more than 24-bit/192kHz. Yes, that’s higher than CD quality. DMP-Z1 also features an audiophile-grade headphone amplifier along with two headphone jacks. The 3.5mm one is standard, while the 4.4mm jack is compatible with a wide range of high-end headphones. The DAC stereo architecture ensures an exceptionally high quality and analog audio translation. Gold and copper plating on various components – from the volume control and the OFC plate to the headphone outputs – ensure audio clarity, minimal signal loss as well as full dynamic range delivery. Other technical features include 1,500mW headphone output power, internal storage of 256 GB, dual micro SD slots, Bluetooth receiver, and a handy USB-C cable connection. A five battery system delivers power to the digital and analogue amplification circuits separately, to minimize interference. On top of all these features, the music player’s design is not too shabby, either. 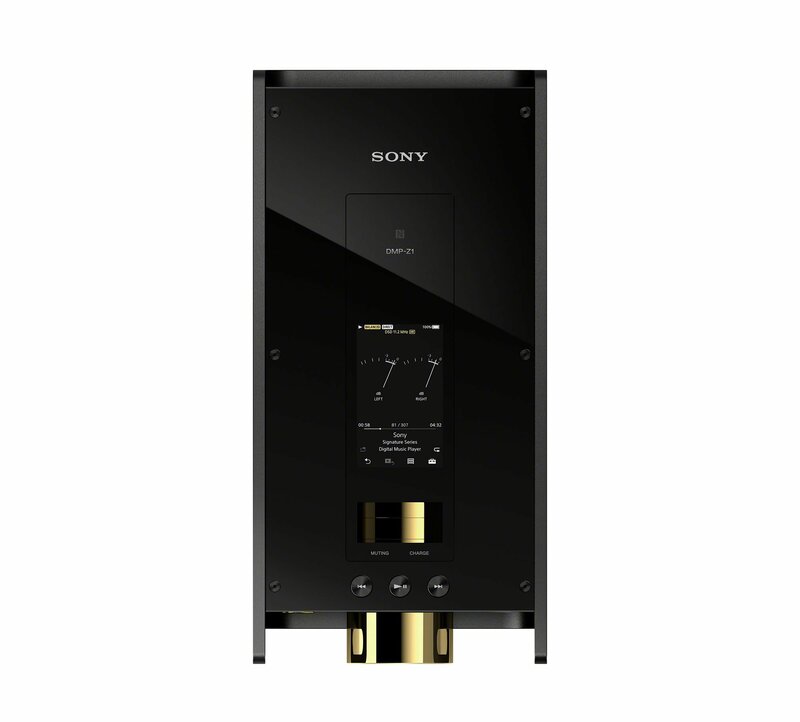 Featuring golden accents on a minimalist black case, the Sony DMP-Z1 Digital Music Player looks ready to take a place of pride on a living room shelf. Read more about the specs and find out more about this gem at Sony’s official website. Photographs© Sony.